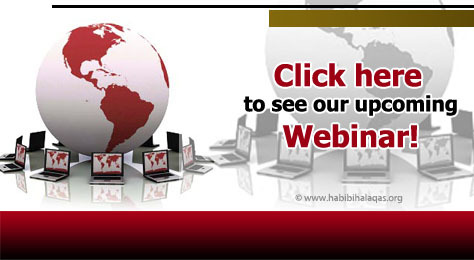 Habibi Halaqas is proud to bring you webinars on various topics that are relevant to your life. Click here to see what our next webinar is going to be on! WEBINAR RECORDINGS. Listen to our archives. 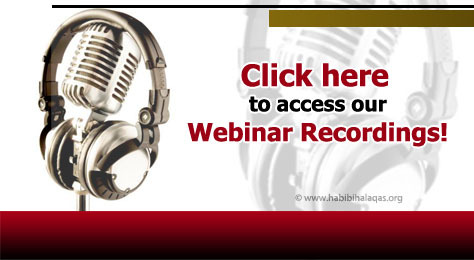 Listen to our past webinars on topics such as niqab, jealousy, hijab, Muslim woman leadership, Qur'an, marriage, finding a spouse, fiqh of menstruation, beauty and more! Please donate to Habibi Halaqas so sisters around the world can continue to benefit from it, in sha Allah. 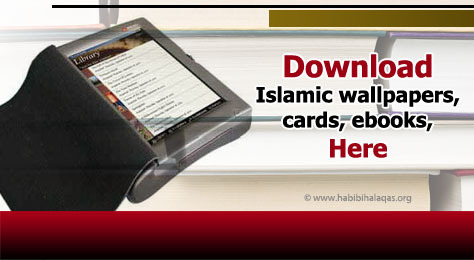 Download Islamic wallpapers, cards and E-books. 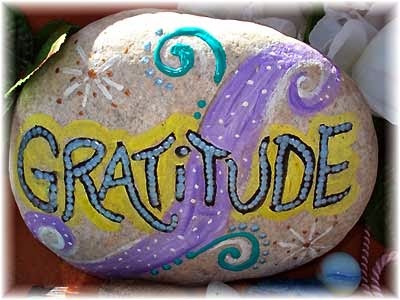 A collection of beneficial books, videos, picture reminders and more! Content in spiritually soaked senses. A prison is not supposed to be a place of permanent dwelling and the idea is to serve the sentence and exit peacefully for a better future. That's the real pursuit. Knowledge refers to everything that there is to be learned by our Creator, Allah SWT. And while some conservative perspectives decode it to be just Islamic knowledge, the more and more complete definition is the comprehensive knowledge of the world and its sciences, and all Creations of Allah SWT. This learning includes the Qur'an, Hadith, and Sunnah as a basic core and then academic sciences that we go after because they are studies of Allah SWT and His Creation if you think about it. Biology is the study of life, Chemistry is of molecules and substances Allah SWT created and Man discovered, and engineer learns Phsyics which is Allah's forces and phenomenon at play to run the show, and the list is endless. So it is important to make dua'a this Ramadan for Allah SWT to increase our knowledge and guide us to the right resources. Prophet Muhammad SAWW guided us and said: "Ask Allah for beneficial knowledge and seek refuge with Allah from knowledge that is of no benefit." Sunan Ibn Majah 3843. Our lives should be spent; therefore, in pursuit of the fundamental types of knowledge that would complete our existence as we transition into the next world from this world. These two pursuits - knowledge and worship - are a fundamental part of strengthening our core and the work should begin now! May Allah SWT help us all focus our minds and soul towards the real pursuits and make us de-stress from the dunya so as to earn greater rewards for the Hereafter. Ameen. With the fast approach of Ramadan, many of us have begun preparations for this special month. For this reason I would like to remind everyone, including myself, that one aspect of ibaada we must not neglect in our preparations is that of du’a. Unfortunately, du’a becomes lost in the midst of our busy schedules either being neglected completely or reduced to a mere recitation devoid of any feeling or sincerity. “When Ramadan comes, the Doors of Paradise are opened, and the Doors of Hell are closed, and the Shayatin are chained up”(Ibn Maajah). This is one of many powerful indicators that du’a made during Ramadan has a greater chance of being accepted. There is no better time than this to make a serious commitment to learning more du’as and incorporating them into our daily lives. A simple and effective way of achieving this goal is to compile a short list of the most important and relevant du’as you wish to learn. I would like to share some from my own personal list to be used as a starting point for your own inshaAllah. The fasting person has at the time of breaking fast, a supplication which is not rejected (Ibn Majah, Al Hakim). As we can see from this hadith, we should choose the du’a we make upon breaking our fast carefully as it is guaranteed a response inshaAllah. I have chosen just one of a number of dua’s which are sunnah to say when breaking the fast however I favoured this particular one due to its focus on repentance which we are all in desperate need of. May those who are fasting break their fast in your home, and may the dutiful and pious eat your food and may the angels send prayers upon you. This is surely the most beautiful and beneficial way to repay someone for having you at their home for iftar. Remember, any du’a you sincerely make for another, the angels will make for you also. اَللّهُمَّ إِنِّيْ أَعُوْذُ بِكَ مِنَ الْعِجْزِ ، وَالْكَسْلِ، وَالْجُبْنِ ، وَالْهَرَمِ ، وَالْبُخْلِ ، وَأَعُوْذُ بِكَ مِنْ عَذَابِ الْقَبْرِ، وَأَعُوْذُ بِكَ مِنْ فِتْنَةِ الْمَحْيَا وَالْمَمَاتِ. O Allah, I seek refuge in You from weakness and laziness, miserliness and cowardice, anxiety and sorrow, and I seek refuge in You from the torments of grave, and I seek refuge in You from the trials and tribulations of life and death. For many of us laziness is a big problem, whether it takes the form of missing fajr, neglecting to recite Qur’an or, as previously discussed abandoning du’a. 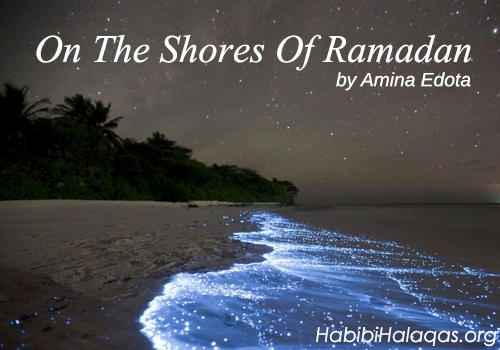 However, to truly benefit from Ramadan we must endeavor to overcome this. This du’a is beneficial to all of us in this regard but also because it seeks refuge from anxiety, sorrow, torments of the grave and the trials and tribulations of life and death. Its comprehensiveness makes it an excellent du’a to remember and use regularly. The Prophet (sal Allahu alayhi wa sallam) said: ‘Whoever says: ‘I seek Allah’s forgiveness, besides whom, none has the right to be worshipped except He, The Ever Living, The Self-Subsisting and Supporter of all, I turn to Him in repentance.’ …Allah would forgive him even if he was one who fled during the advance of an army. As the sunnah of our beloved Prophet sal Allahu alayhi wa sallam who was the best human being to ever live, it shows us how important it is for us to be constantly turning to Allah in repentance. We lose nothing when we do so rather we only gain benefits, including an increased closeness to Allah and a greater chance of entering jannah inshaAllah. “Whoever seeks forgiveness for the believing men and women, a good deed will be written for him for every single believing man and women (that he prayed for)” (Al-Tabarani). SubhanAllah, such a simple du’a can reap such enormous reward. However, it is important to note that, as with any du’a, sincerity is required for it to be responded to and for the aforementioned benefits to be gained. In order to find this sincerity within ourselves we must have knowledge of the akhira; what will take place on yawm al qiyamah and the realities of jannah and jahannum. We must also develop a love and sense of mercy for all the believers and a fear for what could happen to them, including ourselves and our loved ones should Allah not forgive our countless sins. ‘Indeed Allah subhaana wa ta’aala is Shy and Beneficent. He is Shy when His servant raises his hands to Him (in du’a) to return them empty’ (Ahmad, Abu Dawud, Tirmidhi). As this hadith implies, regular remembrance of Allah through du’a has countless benefits including protecting us from sin and bringing us closer to Allah. The benefits are even more so during the month of mercy when the reward of every good deed is multiplied. To achieve an optimal appreciation of and benefit from our du’as, I recommend gaining knowledge of the etiquette of du’a, an excellent resource of which is ‘Du’a: The Weapon of the Believer’ by Abu Ammar Yasir Qadhi. Most importantly, let none of us miss this incredible opportunity to earn reward from making sincere du’a a part of our everyday ibaada because none of us know if we will live to see it again. Book lovers have a reading nook, video games fanatics have a gamers' den, baking fans have a baking studio, artists have creative workshops. These are all hangouts for different kinds of individuals custom-designed to serve their life's most favorite pursuits. 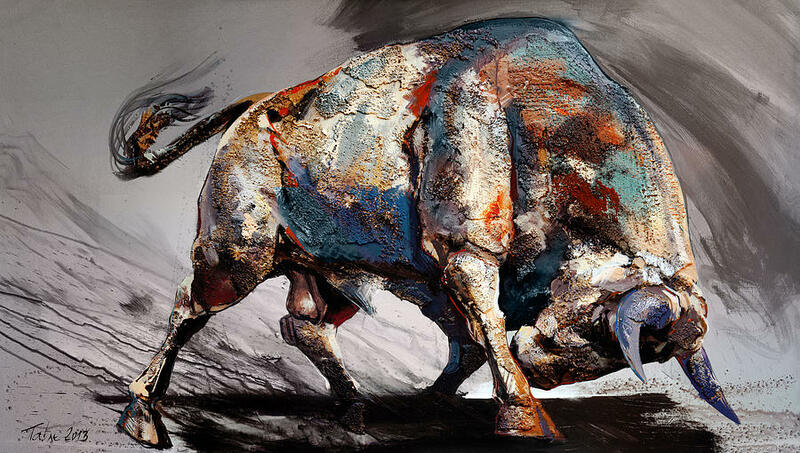 Ramadan is a big pursuit too! And it deserves a special hangout. Ensure that your Ramadan Hangout is a clean, pure place. Make sure there are no distractions around the Ramadan Hangout e.g. Xbox, Wii, TV, and etc. It is best to pitch your Ramadan Hangout close to your musallah (prayer place). If you use ja-i-namaaz (prayer rugs) then you have what I call a mobile musallah and you can just have it set up besides your hangout. Ladies, your Ramadan Hangout should ideally be a centrally located spot in the house (still, secluded enough for alone time) so you can still keep a distant watchful eye on running the house. The Ramadan Hangout should be comfortable so you can lay down when you are tired, have good back support when you are sitting up to read, and have proper cooling for hot humid summers. 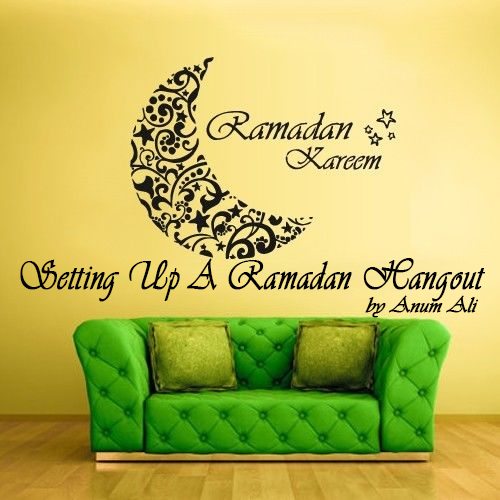 Get fancy and decorate your Ramadan Hangout to create the feels of Ramadan. Create an ambiance that pulls you towards the hangout! Incense sticks, candles, lanterns, comfy pillows, get creative. Have a table, organizer basket, or storage boxes around the Hangout so your Ramadan Reads, and other resources do not scatter and make the place untidy and cluttered. Have a good light source because you will be reading. Have a power outlet in case you plan to recharge your cell phone, plug in your laptop/iPod/etc. Have a pen holder stocked with pencils, pens, and highlighters because you will be reading your Ramadan Reads, taking notes, or marking important facts. 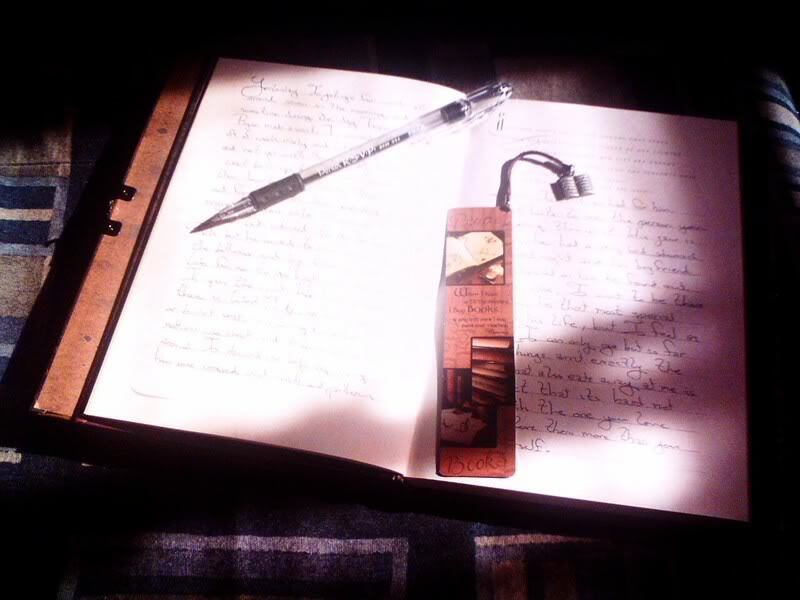 Your Ramadan Hangout is the place where you will keep your Ramadan Journal. Debt is one of the many reasons people worry. Imagine taking a loan from someone, with intent of returning it by the following year. Now imagine not being able to repay this loan by the due date, and it just so happens that there arises a need to take out this loan again the following year, and the year after, and so forth. What you have now is a big debt on your shoulder, which has accumulated over the years. And now you do not understand what to do about it! How do you repay such a huge loan?! While we are worried about this worldly debt, there is another debt that, if not repaid, can affect our akhirah (hereafter). A debt we owe to Allah (subhaanahu wa ta’aala) - the debt of our missed fasts! Most of us have not been able to make up the missed fasts from the past Ramadan, whether it is due to our own personal reasons, or simply out of ignorance. a guidance for the people and clear proofs of guidance and criterion. and whoever is ill or on a journey - then an equal number of other days. 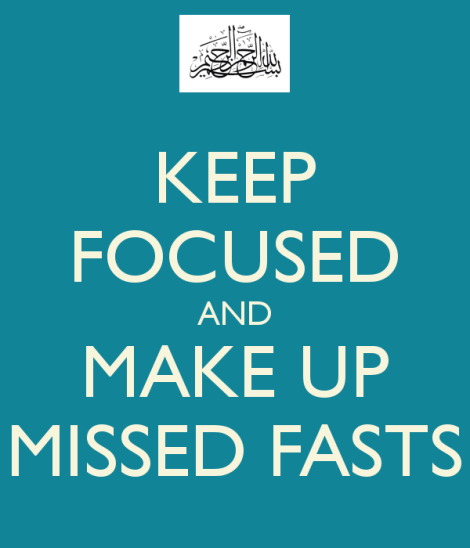 Begin with making a strong intention to make up all your missed fasts for the sake of Allah (subhaanahu wa ta’aala). 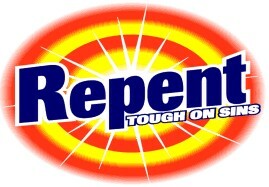 Seek Allah’s forgiveness and repent for delaying it. Make the intention to repay this debt in order to protect your akhirah. Brainstorm and create a plan to make up these fasts. · Firstly, count the number of days you missed. If you do not remember the exact number, then approximate, add a few extra days to stay on the safe side. · Set a deadline – say 6 months or by end of the year. This is your deadline by when you must complete all the fasts. · Depending on what is preferred and convenient for you, decide how many days a week you will fast. This could be Mondays and Thursdays, the white days (13,14,15) of every month of Islamic calendar, or Dawood’s alayhissalaam fast – fasting on alternative days, etc. Make all arrangements of what you want to eat for suhoor. 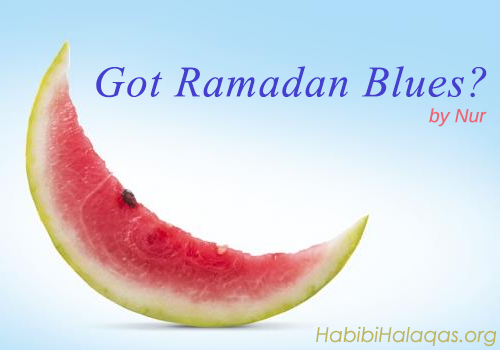 Since you may be the only person fasting at home, you want to be ready for it. If you face a problem of waking up for suhoor set 3 – 4 alarms; you are sure to get up from at least one of them, inshaAllah. I have had a tough time motivating myself to make up my missed fasts. It was not until a close friend asked me to be her “fast friend” that I was able to kick start my mission- “make up missed fasts,” alhumdulillah. In case you are facing the same problem, find a ‘fast friend’ – you can keep each other updated about the number of fasts you have left, which days you plan to fast, how you plan to make up further fasts, wake each other up for suhoor, and also give each other the required motivation to keep going when you find yourselves getting lazy again, inshaAllah! I did not realize the importance of making up missed fasts until another close friend added me to her facebook group – (Sisters Only) Making Up Missed fasts of past Ramadans. It provides a lot of motivation and inspiration from other sisters to pay back the debt we owe to Allah subhaanahu wa ta’aala. I urge you to join the group to help you get going, inshaAllah! Fasting during Ramadan is an obligatory act of worship, and not making up the missed fasts before the next Ramadan (without a valid reason) is a sin. So, let’s seek Allah’s subhaanahu wa ta’aala forgiveness for it and make a firm intention to make them up on time in the future, inshaAllah. May Allah forgive us and grant us ease to complete all the missed fasts. 2. Do we need to make up missed fasts on consecutive days? So how would we like our deeds to be taken up as? 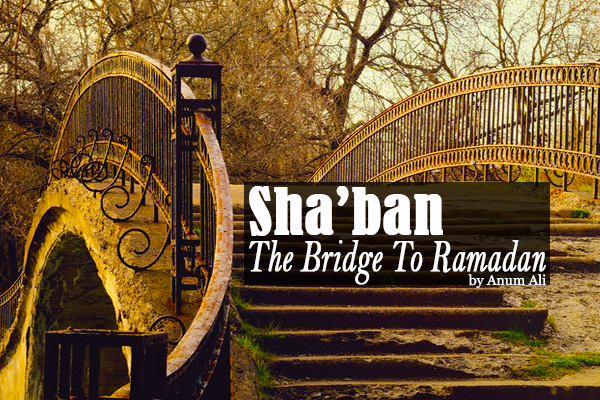 Think of Sha'baan as a bridge to Ramadan. Right now we are passing over that glorious, hidden bridge that we often tend not to pay too much attention to, as Prophet Muhammad salAllahu aleyhi wa'aleyhi wasallam pointed out. There's a mad pre-Ramadan rush everywhere. Some people are too busy rushing weddings so they may get them done before Ramadan starts. Who would attend a wedding in Ramadan, right? Whereas some are too busy trying to have all their social meetups done before Tarawihs and prayers begin and occupy evenings and nights of their friends and families, and yadi yadi yada you name it. Ideally, Sha'baan should be spent in an urgency to score good deeds because they are being taken up to Allah swt and our piles of good are increasing. 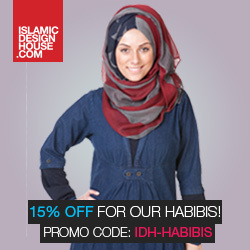 This is like an added bonus that precedes Ramadan and only the early birds can benefit from it. Another beautiful analogy is that of irrigating the seed to reap its fruits in Ramadan. 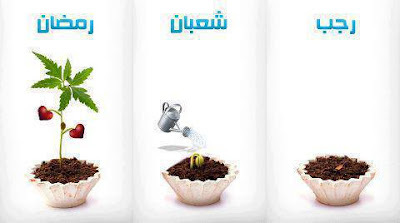 Sow your seeds (plan well and ahead) in Rajab, irrigate in Sha'baan, and reap the fruit in Ramadan. 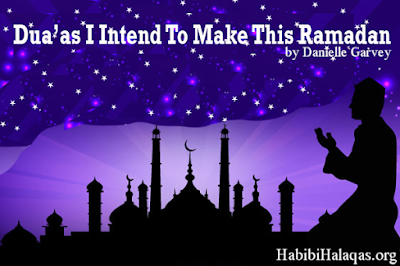 I took this to heart and began working up my Ramadan act in Rajab. The biggest hurdle that ruined my Ramadan last year was a stubborn stomach infection that stays active all the time and does not let me fast. I found myself throwing up and writhing in pain from an empty stomach and had to give up fasts. This year I planned ahead,alhamdulllah, and asked my doctor about treating this bug before it ruined another Ramadan. So, throughout Rajab I was on a multi-antibiotics regimen that nuked the daylights out of the infection. I feel so much better, and I am working on keeping my stomach empty for longer periods of time so I can rehearse Ramadan mode. I am taking Sha'baan to work up Qur'an recitation (so I can finish the Qur'an by the time Ramadan ends), and planning on Ramadan resources. Use Sha'ban to set yourself straight: health concerns, address personal concerns, correct habits such as sleep patterns, etc. Make a head start on your Qur'an recitation. Aim for at least 1/2 juz per day (divide it into 1/4 juz in one sitting, and arrange for 2 sittings in a day) so you have 15 juz complete by the end of Sha'baan inshaAllah. Arrange for 'Ramadan Reads' - good books that you would be reading through Ramadan, make a head start on those. Plan good deeds: fasting, charity, winning hearts of people, treating parents well, etc. Set up your 'Ramadan Hangout' - a peaceful place in your house where you will go for prayers, reading Qur'an and books in peace and quiet, make it comfy and make it cool! Cross off distractions: let people know you'll be working it like your last Ramadan, ease up on TV watching, Facebook-ing, and etc. 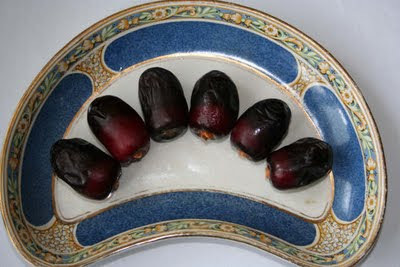 Set up your Ramadan Goals: what do you wish to achieve this Ramadan?Basically, make Ramadan an extension of Sha'ban. 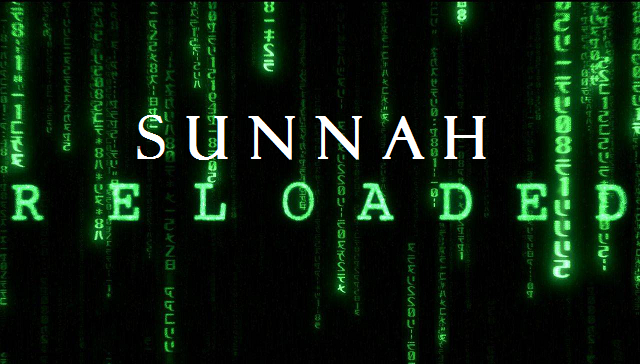 You would be following a great advice of the Prophet (SAWW) - a wonderful Sunnah - this way. Happy Sha'ban. Stay tuned for more Ramadan articles. 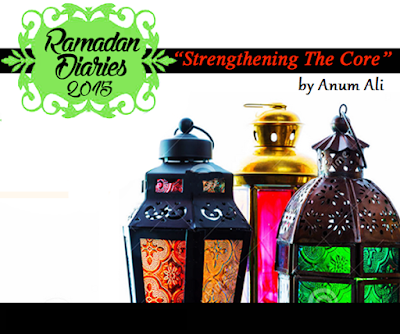 Don't forget to join me for Ramadan Diaries 2015 inshaAllah.